The Capitals have re-signed Brooks Orpik. 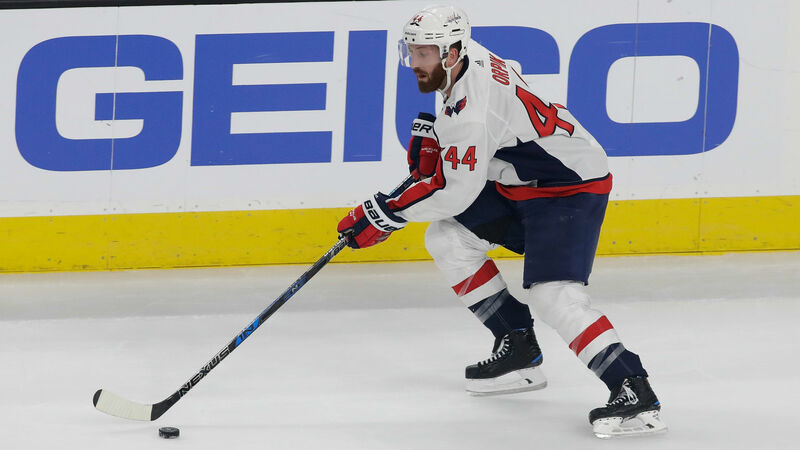 Washington and the 37-year-old defenseman have agreed to a one-year, $1 million contract, the team announced Tuesday, Orpik could receive an additional $500,000 in performance bonuses. Orpik spent the last four seasons with the Capitals. He tallied 10 assists during the regular season and then added four more, along with a goal, during Washington’s Stanley Cup run in 2017-18. Washington sent Orpik and goalie Philipp Grubauer to the Avalanche in exchange for a second-round pick in a draft day trade last month. Colorado bought out the final year of Orpik’s contract, worth $5.5 million, clearing the way for him to re-join Washington. Orpik began his career with the Penguins. He played the first 11 NHL seasons with Pittsburgh before he signed a five-year, $27.5 million contract with Washington in July 2014.